TUALATIN, Ore. – Local anti-substance abuse coalitions Tualatin Together and Tigard Turns the Tide are proud to bring former NBA player Chris Herren and the THP Project Purple Initiative to Tualatin and Tigard High Schools on March 5 and 6 with the generous support of Regence BlueCross BlueShield of Oregon. Mr. Herren played for the Denver Nuggets and the Boston Celtics before losing his career to the disease of addiction. He is now a passionate advocate for sobriety and will speak to students at both schools about his career-long battle with drug use – which began in high school – and what it took to turn his life around. Mr. Herren’s remarkable story was captured in the publication of the book, Basketball Junkie and the release of the Emmy-nominated ESPN Films documentary, Unguarded. 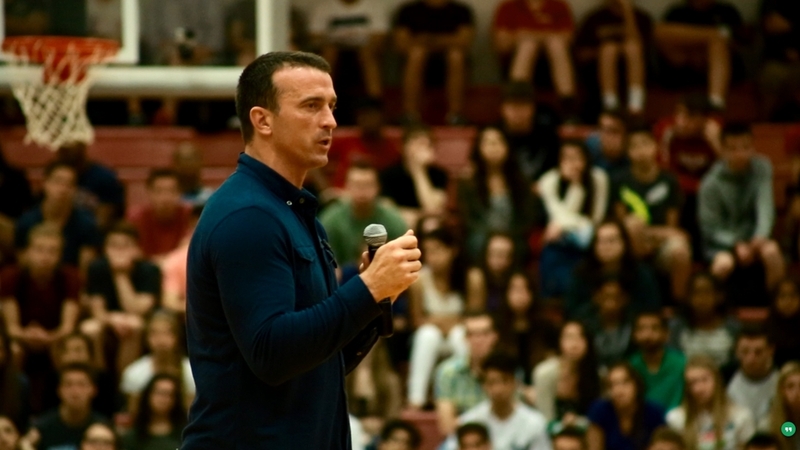 Chris Herren’s appearance will serve as the kick-off for both schools “Going Purple,” or committing to the principles of the THP Project Purple Initiative, which are to create awareness about the epidemic of substance use and encourage teens to stand up to drugs and alcohol. Tigard High School on Monday, March 5 at 1:30 pm. Tualatin High School on Tuesday, March 6 at 9 am. The community is also invited to hear him speak at 7 pm, Monday, March 5, at Tualatin High School. This event is FREE and appropriate for children middle school aged and older. Register for a spot at http://chrisherrenlive.eventbrite.com. Tualatin Together and Tigard Turns the Tide are diverse, locally grown, state and federally funded coalitions, working together to raise awareness, provide education and advocate for the health and safety of the youth in their communities. They are dedicated to helping Tigard and Tualatin youth thrive by working to reduce the use and abuse of drugs and alcohol. For more information about Tualatin Together, visit tualatintogether.com. For more information about Tigard Turns the Tide, visit tigardturnsthetide.org. THP Project Purple is an initiative of The Herren Project, a 501(c)3 non-profit organization dedicated to providing assistance in taking the first steps toward recovery and a life of sobriety, educational programs and resources to increase awareness on the signs of addiction and bring hope for a better tomorrow.